Time for a review! I've covered a few top-notch resources for looking up military records. The resources are all from either the US or UK. US lookups go back to the Revolutionary War, through the Civil War, World Wars I and II, Korea and Vietnam. English records extend back centuries, all the way to the medieval times of knights and crusades. Forces Reunited: Searching UK Military Records. More than a million records available here. Searching is free, though they'll try hard to get you to subscribe. Free Civil War Military Records. This is one of the great internet resources for US military history...worth a visit even if your family has no connection to the War Between the States. Free World War II Military Records. Another great resource with millions of US enlistment records from WWII. Medieval Soldier Military Records (That's right...Knights!). It's always amazing to find how well records were kept, even centuries ago, and how they've managed to find their way online. National Gravesite Locator for Veterans. Find the burial locations of millions of US soldiers. Revolutionary Era Genealogy Research. These tools from the Daughters of the American Revolution mix military and non-military records. Some Civil War Genealogy Resources You May Not Know About. Pensioners lists, Confederate war reports, slavery records...a lot here to explore. Some Military Family History Resources That You May Not Know About. 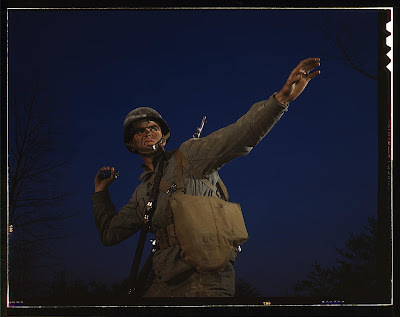 Official US Army history sites can turn up a lot of useful genealogical information. World War I and World War II British Commonwealth Deaths. A resource as vast as the British Empire itself, with records spanning the world. Online State Archives. Individual states often have deep records of their own, both military and otherwise. Spend some time getting familiar with what's available in the states where you and your ancestors lived. P.S. Know a veteran -- or friend or family member -- who needs some help with PTSD? Maryville University put together a good PTSD resource. Such a pity that many sites pretend to be "free" and only after wasting your time do they ask for money for results that you don't even know are going to be useful. comment number 1 is sooooo true. I have found details of an ancestor but am truing to 'beef out the bones'. I have regimental name & service no - can't get anything else!!!!! Nothing Free Here. Must join to get real info. What a sham. ancestor.com is the only one that comes close, but yes it's not free and it is never a sure thing that you'll find anything. And yes they will profit from your research and you allow them to use your info at anytime. but that's how it works and you will pay like everyone else does who finds just a bit of info that really doesn't lead you anywhere. so good luck buddy... cause your gonna need it. yes, I would like to find a truly free search, not one that is misleading. Free search until you want any details should not be categorized as a free search! Yes I am still searching.........this site has not provided any information as of yet. I'm trying to find any and all information on Charles Justin Lloyd born in July 1922. I need to find his wife and childrens names for geneology files. He married in 1945 in Seattle. He was injuried in the armny by a kangaroo accident. Please email me with information and/or photos. It was really nice to see such blogs. Hermine...anything more you can tell us? His rank, nickname, jobs after the military? Might his picture have been in the newspaper at any time?